The Center for Health Reporting (CHR) is a venture in new journalism that is shining a light on the most fundamental healthcare issues facing underserved Californians. CHR is an independent news organization with no agenda but journalism excellence. The Center operates out of the Schaeffer Center for Health Policy & Economics at the University of Southern California (USC). Now in its ninth year, CHR has built partnerships with news organizations across the state to explore tough questions about the quality and costs of healthcare and about the ability of poor and low-income Californians to access it. CHR actively seeks new media partners to cooperatively pursue health stories of local, state and national interest. Since its founding in 2009, the Center for Health Reporting has produced more than 150 projects, working with media that include the state’s largest dailies, small newspapers servicing rural and ethnic communities, National Public Radio affiliates and online news sites. That work has helped reshape state laws, won honors, and aided readers and listeners as they navigate the maze of state and federal healthcare reforms. Healthcare is assuming an ever-growing importance in Americans’ lives and the public square. Yet, as newsrooms continue to shrink, many have lost health, medical and other specialty journalists trained to report on these fast-moving and complex trends in health policy. Center for Health Reporting founder Michael Parks, a former editor of the Los Angeles Times and former director of the Annenberg School for Journalism at USC, foresaw this trend and decided to act. He established a pilot project in 2008, and the Center was fully funded by the California HealthCare Foundation in September 2009, with a charge to strengthen the quality of health reporting of print and broadcast media across the nation’s largest state by partnering on in-depth policy stories. The Center has further focused its mission to concentrate on what’s called “the Other California,” that almost one-third of the state’s population that is either poor or low-income. The rest of the mission remains the same — CHR will not only investigate and spotlight problems with healthcare and public policy, but also work to identify and explain possible solutions. CHR has probed critical health issues in California and nationally, including mental illness among youth and adults, abuses in assisted living homes, poor children’s flawed dental care, critical shortages of medical interpreters for patients, black infant mortality, poor seniors’ nutrition, the politics of vaccination policy and the implementation of the Affordable Care Act. Headed by Executive Director Richard Kipling and Editor Roger Smith, the Center employs seasoned reporters and editors with decades of journalism experience. They include journalists who have worked at the Los Angeles Times, the Sacramento Bee and the San Jose Mercury News. Kipling and Smith take pride in their on-the-ground coverage of healthcare in rural and urban areas, from the North Coast to the San Joaquin Valley and from the Bay Area to metropolitan Southern California. They believe that the story of modern healthcare should be told, not only by policymakers but also by health consumers and the people who treat them. CHR reporters crisscross the state in pursuit of stories, building connections to patients, families, doctors, nurses, advocates and business leaders. The Center has earned a reputation for in-depth, impartial and accurate journalism. The first project, “Sowing Hope,” with the Merced Sun-Star, laid the groundwork for a program training pre-medical students at UC Merced to practice in underserved areas. 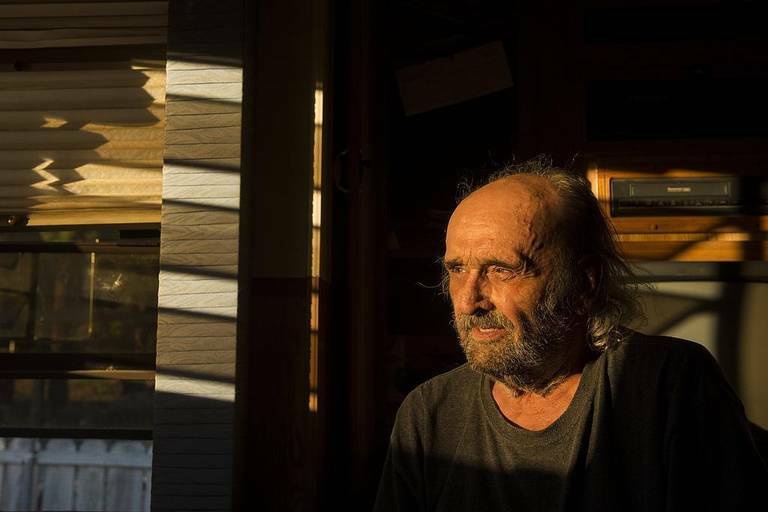 The 2013 series “Deadly Neglect,” in collaboration with the San Diego Union-Tribune, investigated abuses in state-licensed assisted living homes. The project helped forge and pass 14 new laws in the California legislature. It led San Diego County supervisors to approve new funding and new programs in county government. The series “Cavity Kids,” with the Sacramento Bee and the Los Angeles Daily News, sparked an audit of Medi-Cal managed care dental services for children, leading to a change in law and leading one of the poorest performing plans to cease operations. The work of the Center and its partners has earned a number of awards, including first-place awards from the Association of Health Care Journalists and the California Journalism Award for enterprise reporting.